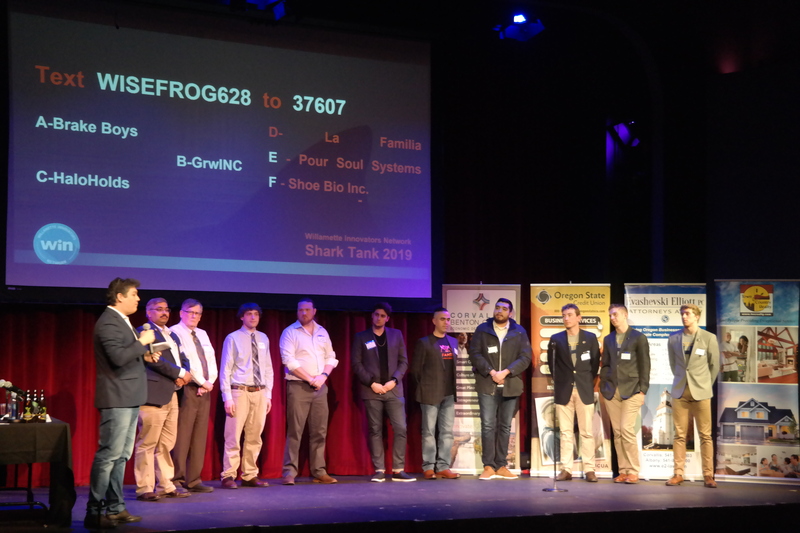 Representatives from six regional start-up businesses pitched their brands to a panel of entrepreneurs at the Willamette Innovators Network’s (WIN) Shark Tank event this year. WIN organizers indicated the 2019 Shark Tank is their biggest yet. Previously, they held the event at The Vue and sold out, so for 2019 they moved to the Majestic where they sold over 100 tickets. “This is probably our best Shark Tank event. It’s twice as big as our event last year, with twice as many teams, and the energy in the room was really good. This couldn’t have gone any better, we will be even bigger next year and we’ll keep feeding the sharks,” said WIN board president Aaron Oki Moore. What is a shark tank?